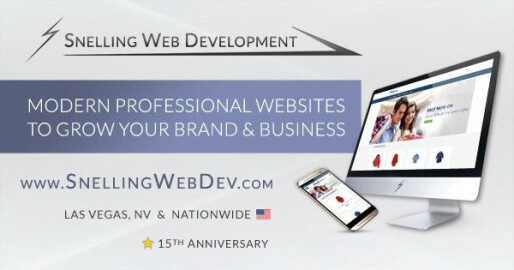 Snelling Web Development specializes in website design & SEO for small business and organizations in Las Vegas, NV & nationwide. We provide modern & professional responsive website solutions that elevate your brand and grow your business. We offer Custom Designed Websites, Starter Theme Websites, Ecommerce Store Websites, and WordPress Websites for startups, small business, organizations, and the government sector. We also provide Web Services that improve your website's effectiveness for more traffic, conversions & better results. 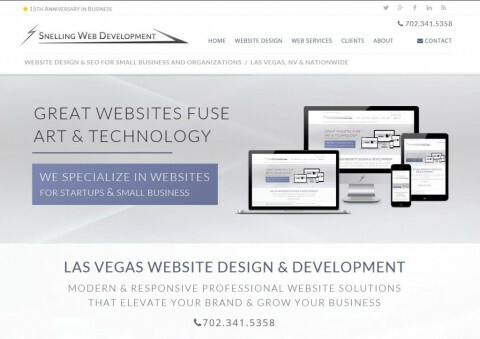 In business since 1999, we have the experience to understand your needs and also provide a vast selection of services, including website updating & maintenance, search engine optimization, analytics, social media integration, responsive websites, and a lifetime warranty on all websites that we build. Snelling Web Development wants to build a relationship with their clients and be their single source for website solutions as their needs grow well into the future. Please contact us today to discuss your website.